Sorry about the delay. I have been busy with all sorts of mundane but important things in the last few days. Hopefully, I'll find some time to post Part II of Lattice Interactions this coming weekend. I know that some of you are impatiently waiting for it. 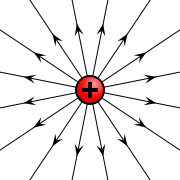 As a preview of what's coming, let me say that I will have something to say about the electron and its so-called magnetic "spin" and how it interacts with the lattice. Hang in there. In Physics: The Problem with Motion, I showed why the causality of motion leads to the inevitable conclusion that normal matter is immersed in an immense lattice of energetic particles. I argued that the motion of a particle is sustained by a series of interactions with lattice particles. I also explained why the lattice has four dimensions and why the entire visible universe must be moving at the speed of light in one of the four dimensions. In this multi-part article, I would like to delve further into the details of lattice interactions. A thorough grasp of lattice interactions is a prerequisite to understanding electric and magnetic phenomena. Knowing how normal matter interact with lattice particles is also essential to our eventual exploitation of the lattice for propulsion and energy production. The interactions of matter with the lattice account for all observed electric and magnetic phenomena. They are also indirectly responsible for gravity (See my gravity hypothesis for more on this topic). Please note that my understanding of lattice interactions comes from applying simple deductive logic to my current knowledge of seraphim and their properties. I obtained my knowledge of the properties of seraphim (see explanation below) from my interpretation of a few ancient metaphorical texts contained in the books of Revelation, Ezekiel and Isaiah. In the years prior to my discovery of the meaning of the metaphors, my physics research (I was looking for a plausible explanation of gravity) had come to a standstill. There were just too many variables to consider and, had I not made the discovery, a thousand years of diligent search would not have been enough to unravel the mechanics of it all. Please refer to the symbolic diagram below while reading the rest of this article. I have retained the use of some of the ancient symbols because I find them rather appropriate and descriptive of the particles and properties they represent. Note that the diagram is for illustration purposes only and in no way implies that particles have either extent or actual faces and wings. These symbols are part of an ancient naming convention that makes it easy for us humans to talk about the physical properties of point particles. The lattice contains four types of particles called seraphim. Seraphim is the plural of seraph, a Hebrew word usually translated as the burning or shining one. There is a huge number of seraphim located at every discrete position of the lattice, one for every possible energy level. Each seraph has a single face which corresponds to its type. Each face is associated with one of four dimensions and represents the absolute orientation of the particle. Each lattice particle is thus polarized and can face in two possible directions, forward or backward. Every seraph has six wings and each wing is associated with one of the six possible directions of normal 3-D space, that is, two directions for each of the three dimensions. A particle's wings are used for normal 3-D motion in the lattice. Seraphim also have feet (not shown in the diagram) but, unlike normal matter particles, they have no body (mass). Feet are required for motion in the fourth dimension at the speed of light. The main difference between feet and wings is that motion associated with wings can be stopped or modified whereas motion associated with feet cannot be stopped or changed. This distinction is one of the keys to understanding gravity. In Part II, I will describe the various intrinsic properties of the interacting particles in greater detail. In the meantime, please read Physics: The Problem with Motion and Understanding the Lattice.